The history of Ammann is one of innovation. The dozens of patents the company has secured in its 150 years of existence prove this point. 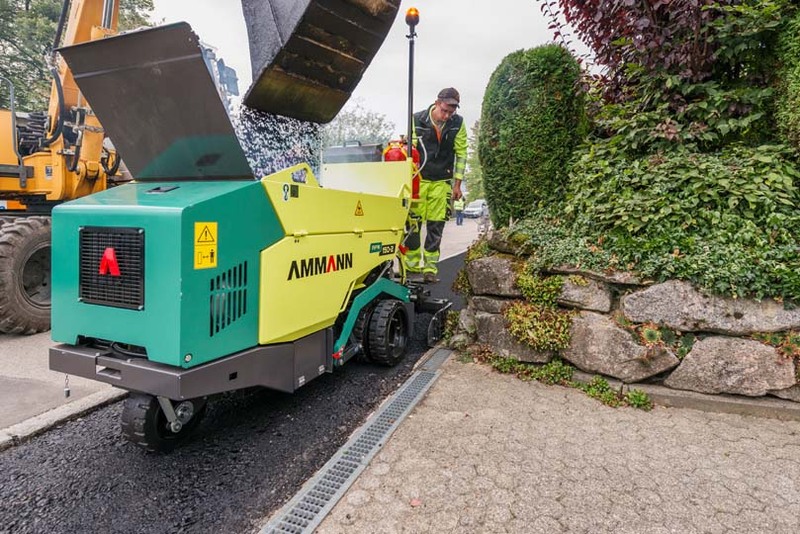 The pursuit of innovation was already underway in 1908, when Ammann was granted a patent for a macadam machine – essentially a combination of an asphalt-mixing plant and a paver. The machine used what was a revolutionary technology at the time to eliminate an emerging health hazard – dust kicked up by automobiles. Today’s progress rests solidly on that foundation, established decades ago. 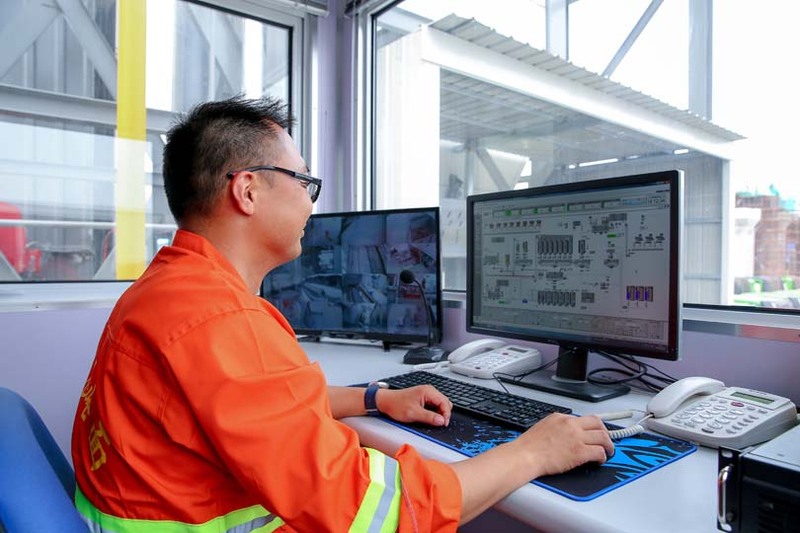 Technology is developed and continually improved to produce the machines, plants and services that help customers find solutions to daily challenges. In today’s world, those solutions increasingly involve sustainability to safeguard our planet and its resources for future generations. 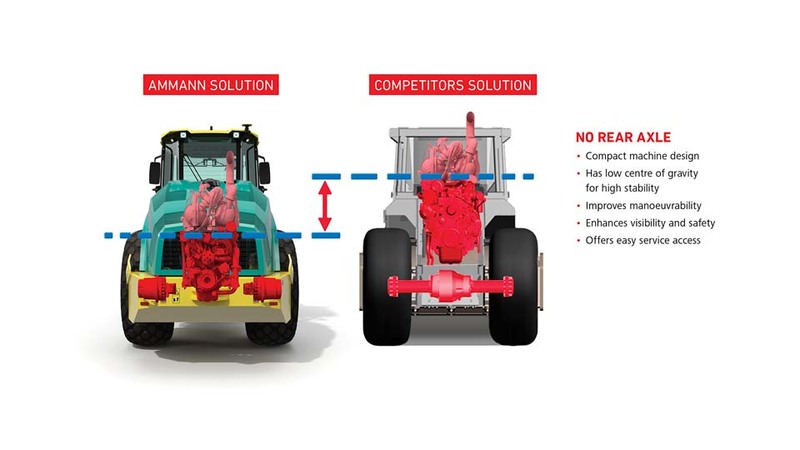 Compaction equipment is built to reach targets in the fewest passes, thereby minimising fuel burn and machine wear. 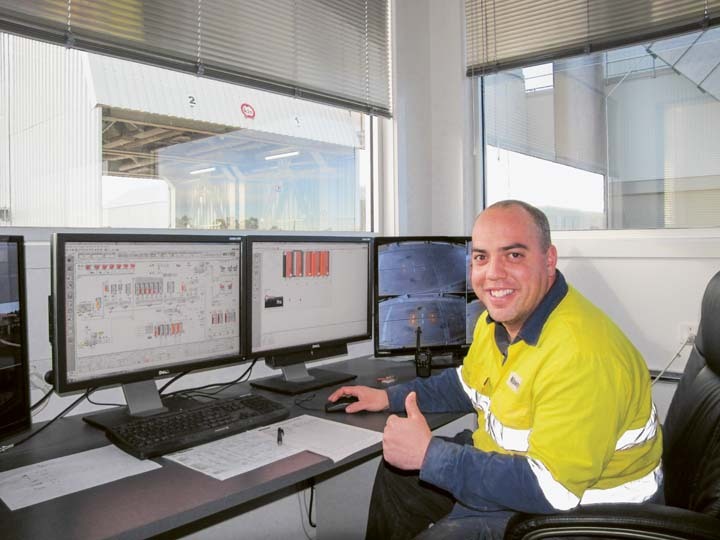 Pavers feature automation to optimise material usage. Ammann asphalt-and concrete-mixing plants utilise technology to enable production with extremely high percentages of recycled materials. What path will Ammann follow in the next 150 years? For that answer, you need only look at our history of creating innovative products that help customers while protecting the world around us. The paving industry often focuses on the biggest jobs. Airports and super highways – and the wide lifts they require – seem to get all the attention. But what about the smaller jobs, such as paving bicycle paths and filling in trenches where electrical lines have been placed? The traditional approach on these jobsites has been to place the asphalt mix by hand. This is time-consuming, difficult work – and the quality of the final product can’t compare with the smooth, pre-compacted surfaces a paver can provide. 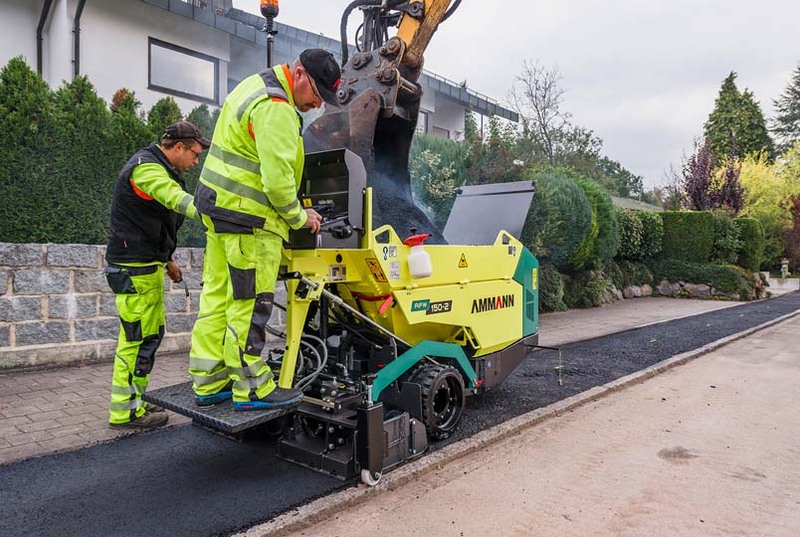 Ammann conquered this challenge with the introduction of the AFW 150-2 Mini Paver. The machine hit the market in 2009 and was reintroduced last year – maintaining the design and concept, but incorporating new technologies. The AFW 150-2 is a truly unique machine in the market, with an ability to pave as narrow as 250 mm. The machine is ideal in applications such as utility work, bike lanes, sidewalks and garden walkways. It can pave as wide as 1650 mm when wider lifts are needed. 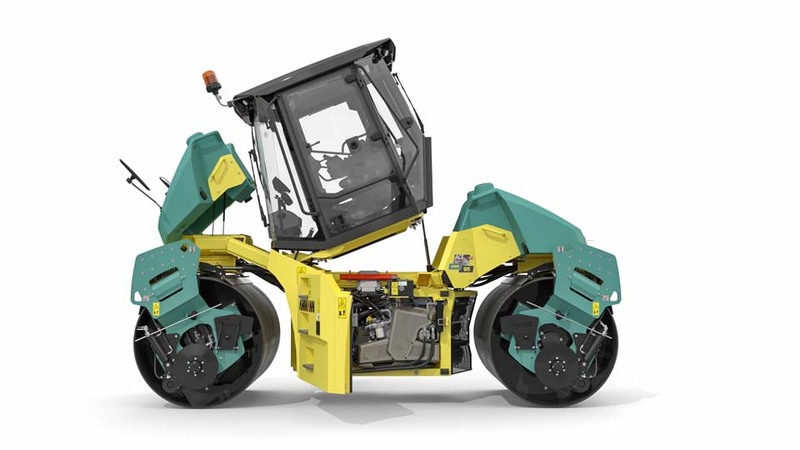 The AFW 150-2 is a three-wheeled paver: two in the rear to enable traction and one in the front for steering. It can be run by a single operator and leaves behind a level, pre-compacted surface that could never be achieved by hand. What about productivity? Crews that use the paver say it is more than twice as fast as completing the work by hand. There will always be a need for pavers that are able to work at extended widths. But the AFW 150-2 helps crews succeed – and turn a profit – while working on the smaller jobs, too. The Ammann team gathered at bauma 2007 in Munich with a new product that stunned the roadbuilding industry: the RAH100 dryer. The RAH100 wasn’t a simple upgrade of an existing product. It was much bigger than that. The dryer offered the ability to create mix consisting of 100 per cent recycled asphalt, a benefit no competitor could match. The Ammann team developed the dryer through a combination of creative thinking and technological excellence. Temperature is always a key consideration when using RAP, because it must be heated to between 120º and 130ºC. The heating is where complications arise. RAP must reach its target temperature, yet it can’t become too hot when heated. Eventually, the team came upon a solution to create a counterflow drying process that forces the RAP to make an “early exit.” The RAH100 consists of two connected sections. One is a static heat chamber that contains a burner and forces air toward the second section, which is a counterflow dryer. The RAP enters at the far end of the counterflow dryer section and moves toward the heat chamber. Yet it drops out of the dryer before it enters that heat chamber, so it never becomes so hot that the bitumen is damaged. The requirements for compacting soil are substantially different from those for compacting asphalt. Those varied needs typically meant that equipment specified for both applications needed to be brought to many jobsites. Then along came the Ammann ARW 65 Walk-Behind Roller with features that enabled a single machine to handle both applications. The key was creating a machine that offered two amplitudes – one for soil and one for asphalt. Previously, rollers had only a single setting. Contractors needed to choose two machines, each with a different amplitude, to achieve proper compaction on the varied surfaces. With the ARW 65, the machine has two settings, so the desired amplitude for soil or asphalt can be accessed with the flip of a switch. Asphalt compaction requires additional measures, including the use of water systems to prevent sticking. The ARW 65 also includes a water tank and a pre-mounted sprinkler. The system is accessible when needed, but does not interfere when working on non-asphalt materials. Contractors quickly realised the efficiency an ARW 65 provides. Today, the machines are routinely on jobsites, ready to quickly go to work – regardless of the application. Ammann was already established as a pioneer in asphalt-mixing plant control systems by the time bauma Munich was held in 1989. But at the construction industry trade show, the company took yet another leap forward with the launch of the first fully computerised control system. The system, the AS2000, was revolutionary. It brought an end to the large control panels that ruled the day. Instead, operators used a light-sensitive pen to provide input on a CRT monitor. The AS2000 also had dedicated hardware with a real-time operating system that could track the entire process on the monitor – again, unique in 1989. In subsequent development, the as2000plus was introduced in 1995. With this introduction, standard hardware could be used – a first. It utilised a Unix-based operating system, and also marked the first time a standard mouse and keyboard were used to operate a plant. This control system offered a modern user interface and great customisation features. By bauma Munich in 2004, an entirely new system was introduced: the as1 Control System, which used Microsoft Windows operating system. The use of Windows was significant because it was able to merge data from office/administration with production. Data transfer was expedited through the use of a network, leading to improved efficiency and better-informed business decisions. The as1 has continued to evolve. 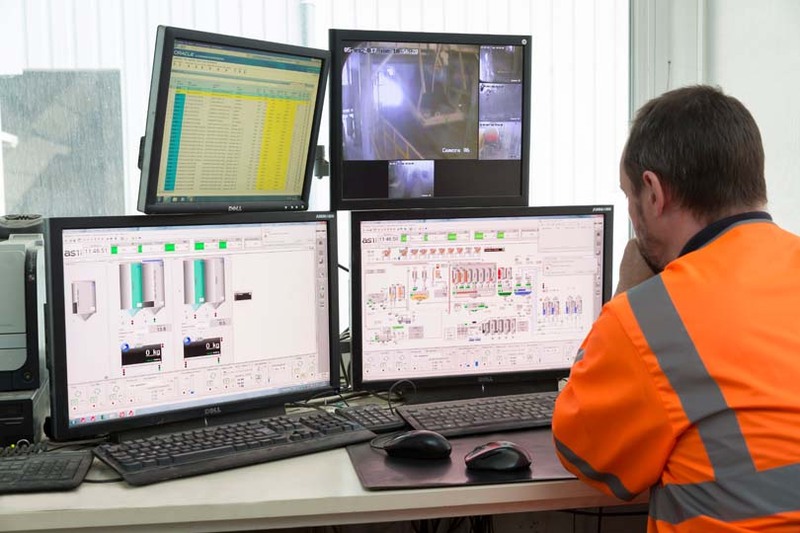 Modules that focus on specific processes – such as energy monitoring and recycling, among many others – have added even more value to the system. The very latest efforts include interface improvements and movement toward more intelligent production. For example, an Ethernet-based fieldbus system was launched in 2016. It recognizes that sensors and actuators will become increasingly intelligent and therefore will need to exchange more information. The system also greatly enhances remote diagnostic capabilities. More changes will continue, including further adjustment of the user interface and modules. 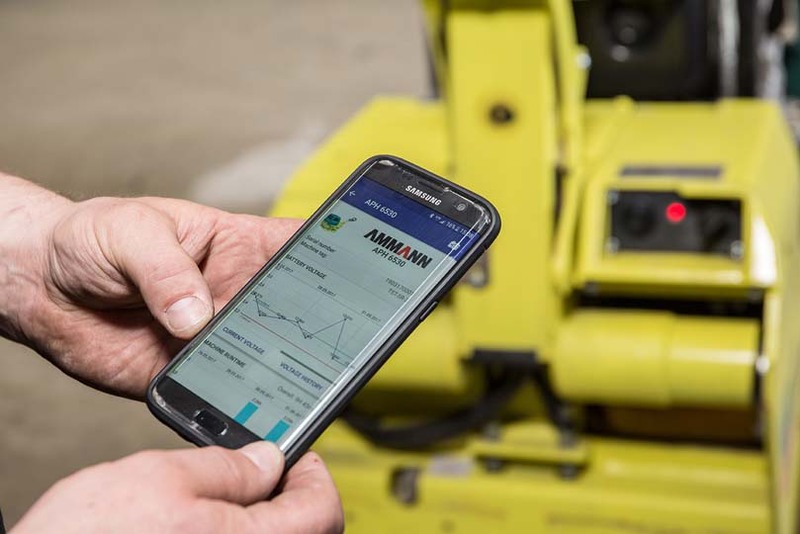 If history has proven anything, it is that the plant control system team at Ammann is always looking for ways to improve its offerings. Managing light compaction equipment in your machine fleet has its challenges. Many businesses own a large number of the machines. That volume can make it difficult to monitor service needs and battery status. Yet not staying current in these areas can hurt machine life – and, in the case of batteries that are not adequately charged, lead to costly unplanned downtime. Ammann recognised a need for a comprehensive light compaction fleet management system. The result is Ammann ServiceLink, a digital solution launched in 2016. Ammann ServiceLink offers immediate access to key information, including battery status and maintenance schedules for handheld compaction tools such as vibratory plate compactors. 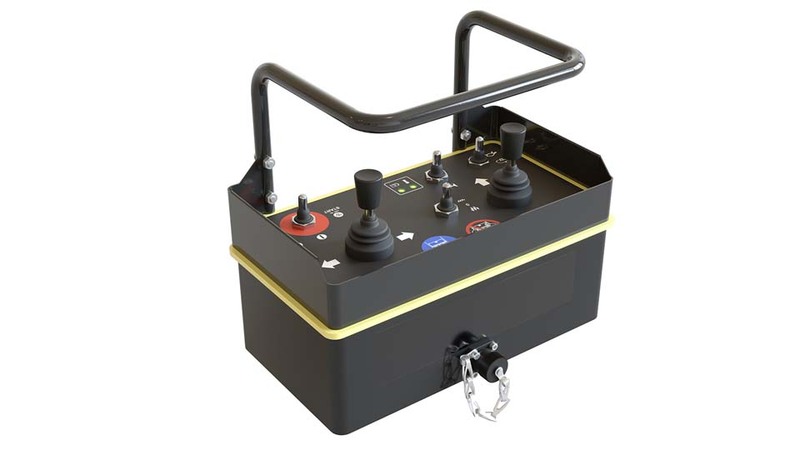 It is compatible with all machines with battery power up to 30 volts, no matter the brand of the machine. This enables fleet tracking without a separate tool for each brand. Ammann ServiceLink features a hardware relay that can be mounted on any machine with a battery up to 30 volts. The relay stores and sends machine details, such as battery voltage, working hours and machine starts. Additional information – for example, warranty or maintenance schedules – can be stored via the ServiceLink system. The data can be accessed through a desktop computer or an intuitive app. The fleet management system has proven to be a great tool for rental houses. It can monitor machine utilisation 24 hours per day, seven days per week – enabling rental fleets to accurately track and charge for off-hours use, such as weekends. The fleet management system has proven to be an ideal tool for rental houses as they often own a great deal of light compaction equipment. Ammann ServiceLink is constantly being improved and its markets broadened. Large compactors and pavers are being added to the system. But it’s not just for new machines. ServiceLink is available as a retrofit for older Ammann machines – and for equipment built by other manufacturers, too. Look for even more from Ammann ServiceLink in the future. The system’s capabilities will be expanded to include larger equipment and CAN bus communication regarding location, fuel usage, potential error codes – and more. Most soil compactors had a similar concept, with the engine located above the rear axle, until the mid-1990s – when the innovative no-rear-axle machine made its debut. The Ammann compactor launched at this time looked different because it represented a radically improved design concept. The Ammann product development team had chosen to eliminate the rear axle. This enabled the engine to be located between the wheels and much closer to the ground – which, in turn, created a host of opportunities. For starters, rear visibility was dramatically improved because the engine hood did not block the operator’s view. This enhanced not only safety, but comfort, too, because it greatly reduced the amount of stretching and pivoting required of operators. The lower centre of gravity delivered another key benefit: stability. The compactors were able to work on grades that were steeper than anything previously considered. The engine location also made maintenance easy. Its placement meant service points could be accessed from the ground, making maintenance quicker – and safer, too, as operators could reach fluids and filters from the ground. 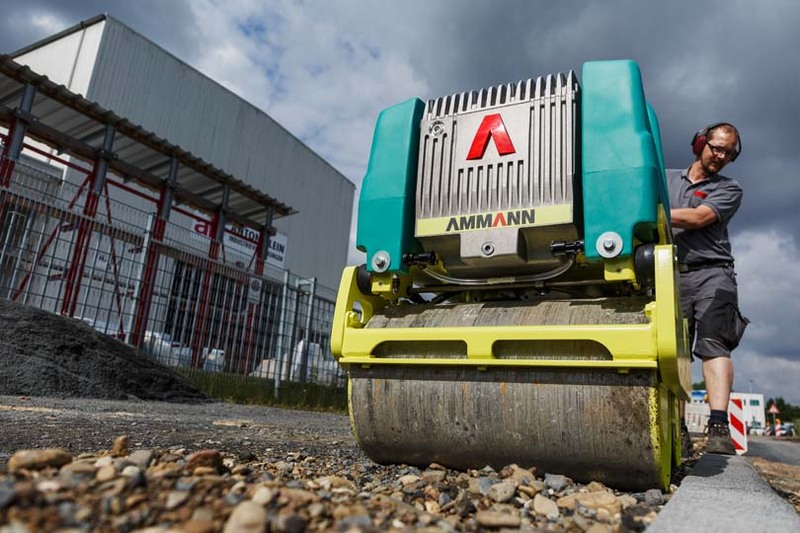 Pneumatic tyred rollers are built to handle varied weight configurations, and the Ammann ART 280 is no exception. It’s obvious but worth noting that a compactor’s operation will differ based on the weight of the machine. A heavy machine will be harder to stop. Therefore, its maximum speed should also be reduced for safety reasons. While these factors might be apparent, the required adjustments can be difficult for operators to implement – particularly those without much experience. This led Ammann to develop the Smart Machine Reset Traction system, which automatically measures the weight of a machine each time it’s started. If necessary, the system then adjusts brake configurations and maximum speed for optimal safety. Thanks to this innovative system, operators have a helping hand, and jobsites are safer. Reliable information can have a dramatic impact on jobsite costs. If an operator knows compaction targets are achieved, he can then move to a different location. Conversely, continuing to work on properly compacted surfaces because the operator does not know the compaction targets are achieved is a waste of time, fuel and machine hours – all of which have costs. In addition, this can lead to overcompaction. Ammann Compaction Expert (ACE) is a proprietary Intelligent Compaction system that provides operators with the essential information needed to make the right decisions on the jobsite. The basic ACE system uses LED lights to indicate that compaction progress is being made. It does not confirm that compaction targets have been met, only that compaction is occurring – which is extremely helpful information for operators. More sophisticated ACE options have also been developed. 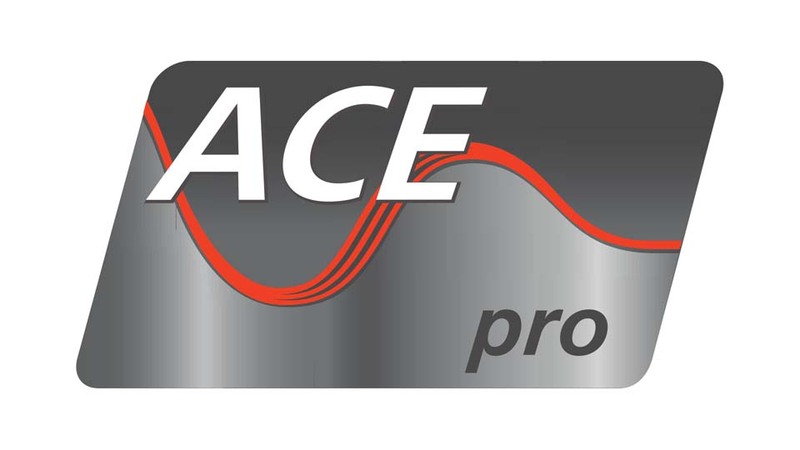 ACEforce measures compaction and assigns specific values to progress, which is displayed digitally. It can confirm that compaction targets have been met. 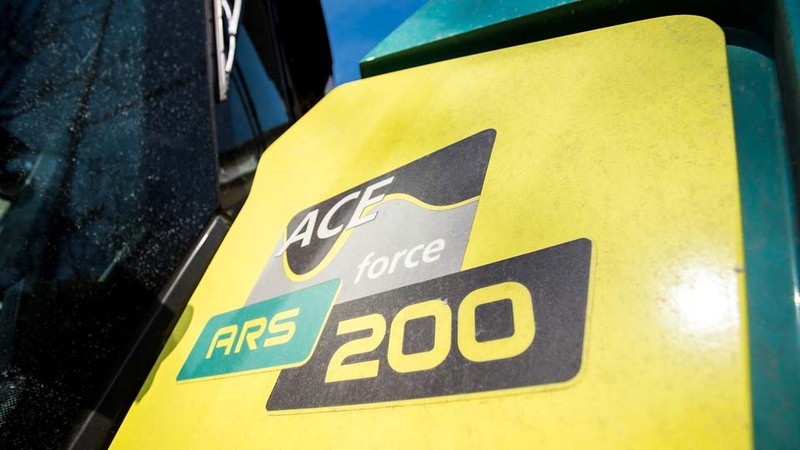 ACEforce also enables data analysis through Ammann Documentation System (ADS). ACEpro is the most advanced system. It not only measures compaction progress and enables ADS, but it also allows instant and continual adjustment of amplitude and frequency – either automatically or manually. No matter the level of sophistication, each and every ACE system provides information and efficiencies that make a substantial difference on jobsites. Access to key components can be difficult on large or technologically advanced asphalt compaction machines. Ammann engineers came up with an innovative idea to solve this problem through a unique cab-lifting system. The system raised the entire cab – specifically, it tilted the cab forward – to greatly improve access for technicians when difficult maintenance or machine service is required. The Ammann design team also placed all main maintenance ports and filters in easy-to-reach locations. These innovations significantly reduce the maintenance time, thereby quickly putting the machine back to work. The shorter maintenance times, as well as the easy access for technicians, is highly appreciated by customers. Ammann ARR Trench Rollers provide a great deal of jobsite safety by keeping operators out of dangerous spaces. However, the rollers are operated with remote controls, which in the past caused some concern. What would happen if the operator lost sight of a machine? And what if the machine moved so far away that the operator could not control it – or even shut it down in an emergency? Ammann addressed these concerns with a highly advanced, infrared remote (IR) control system. A constant infrared signal connects the operator to the trench roller. If the signal is interrupted, the smart system knows a visual connection has been severed and stops the machine. The machine also stops if it has moved more than 20 metres beyond the operator – or if it gets too close to the operator. It’s the safety and peace of mind of those on the jobsite that make its development the most rewarding. Sometimes, a technological breakthrough not only solves a specific problem, but also results in improvements on many fronts. That was the case with the introduction of the wood dust burner on some Ammann asphalt-mixing plants. The burner transformed wood dust, a material that is available from local sources, into a renewable fuel – a key benefit in any industry, including asphalt production. Turning the wood dust into fuel was only the start. What made the wood dust burner even more notable was its carbon neutrality. The carbon dioxide released when burning wood (about 1900 grams CO2 for each 1000 grams of wood burned) is offset by the fact the tree consumed this amount of carbon dioxide during its life. Therefore, this part of the emissions is carbon-neutral. The goal of carbon neutrality is to minimise the impact on the environment by reducing the level of greenhouse gases in the atmosphere. 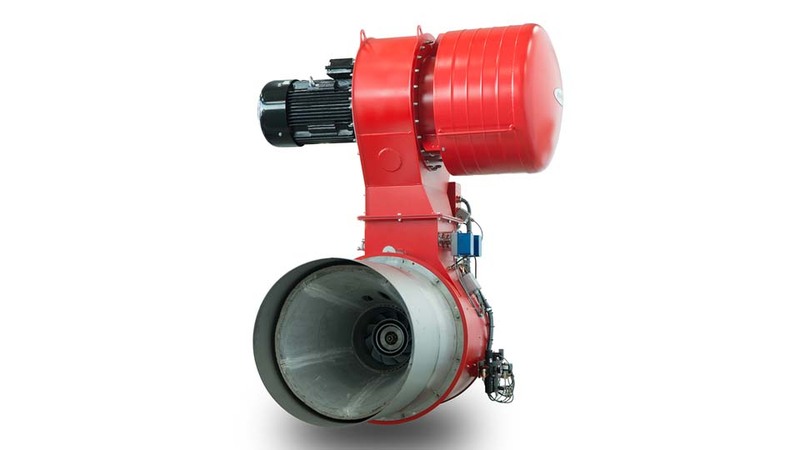 The burner has proven effective and is utilised on a number of Ammann Asphalt-Mixing Plants. It can be retrofitted on existing plants as well. In some cases, the renewable and carbon-neutral fuel is being used to transform recycled asphalt into new mix, providing a host of additional green benefits. Compaction power is a good thing. It’s what increases soil and asphalt densities, thereby increasing load-bearing strength. Still, by the end of a long shift, operators experiencing the vibratory effects of the machine’s compaction punch may have a hard time appreciating its strength. At least that used to be the case. 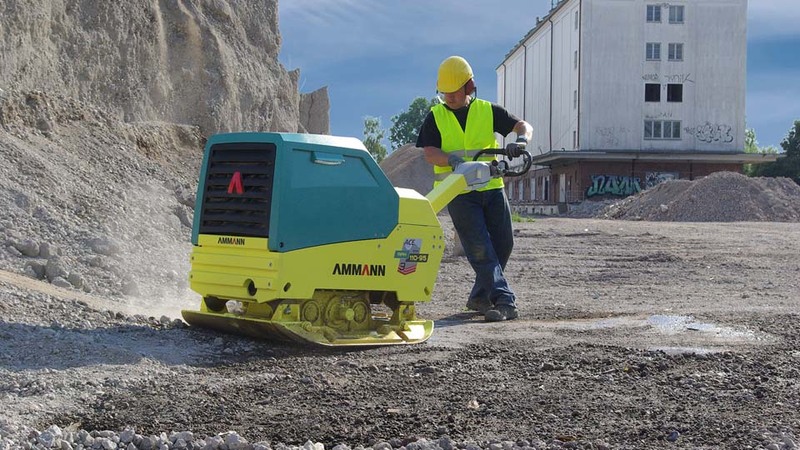 Ammann, however, changed that with the release of the new line of APR Reversible Vibratory Plate Compactors. The plates provide plenty of compaction pop and productivity, but the true innovation behind the machine is its low hand-arm vibration (HAV) levels. A special mounting for the guide handle is key to the reduced HAV. The mounting isolates vibration and prevents it from reaching the operator, significantly improving both comfort and safety. HAV levels on the new plates are below the limit of 2.5 m/sec2. To provide some perspective, that HAV level is so low that documentation of operator hours is not required – even in the most highly regulated countries. Operators on jobsites are quick to praise the reduced vibration. They say it makes a substantial difference that is noticeable from the moment they begin operating the machine. It’s the best of both worlds. The compaction power is still there, helping operators remain productive. But the industry-leading reduction in HAV levels makes the operators’ days not only productive – but pleasant, too. Vibratory plate compactors are ideal compaction tools for small to medium applications. But many tend to jump and land with their weight – and a plate edge – pointing in a downward direction. This causes the machine to dig into the surface, which makes it likely to get stuck – and at the very least difficult for the operator to control. This is of particular concern on heavier plate compactors with significant compaction force. Ammann all but eliminated this counterproductive jumping in 1998 with the introduction of the triple-shaft exciter system on Hydrostatic Vibratory Plate Compactors ranging from 360-780 kg. Previously, the plate compactors had two vibratory shafts that rotated to drive compaction force into the ground. The problem? The same force that drove the plates down also pulled the machine off the ground in the second half of its rotation. The result was that unwelcome jumping. The use of a third shaft eliminates that jumping. The shaft provides additional vibration – certainly a benefit – but its main duty is to bring balance to the machine. The third shaft, located in the center of the system, balances the other shafts. There is still some up-and-down movement, but it is much smoother, keeping the plate in a horizontal position and preventing its edge from burrowing into the materials. This is particularly important when working on wet or loose materials, where conventional plates tend to dig themselves into the ground. The triple-shaft system provided yet another significant benefit: The steady movement also makes the machines exceptional climbers. The patent-protected system is still a unique advantage of the Ammann APH plates today, giving them the extra power and control they are known for in the market. Some customers need “fast changing” sites. The CBT series of transport-optimised concrete mixing plants helps plants go where they are needed, in a reliable and cost-effectively way. Ultimately the CBT series provides economic benefits to customers. Assembly, disassembly and freight costs are minimised by combining the advantages of a compact system with those of a container transport concept. The basic unit is transported in three containers – two 40’ open top and one 40’ flat rack – and meets international transport standards. Transport costs are low, especially in the overseas sector – though specifics depend on the destination. The easy international transport makes the CBT series a global ready-mix concrete plant. The compact, transport-optimised CBT series 105 – 150 TB Elba is also characterised by a modular design. As a result, the plants can be put into operation quickly and inexpensively. The high quality of all components makes the CBT a first-class concrete mixing plant. 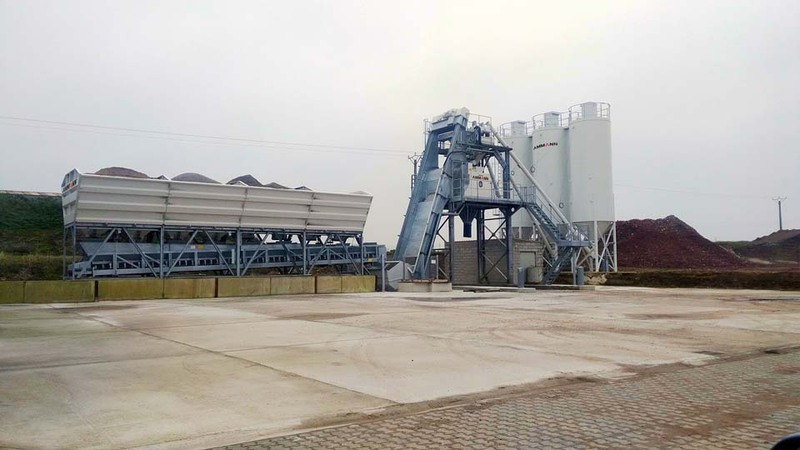 In 2013, we decided to provide even more efficiencies to our customers by designing one common platform for all stationary concrete mixing plants. The newly created design concept covers nearly all plant sizes and is available in lift or belt versions. Nine different mixer sizes for Ammann Elba Concrete Mixing plants CBS can be installed within the design concept. 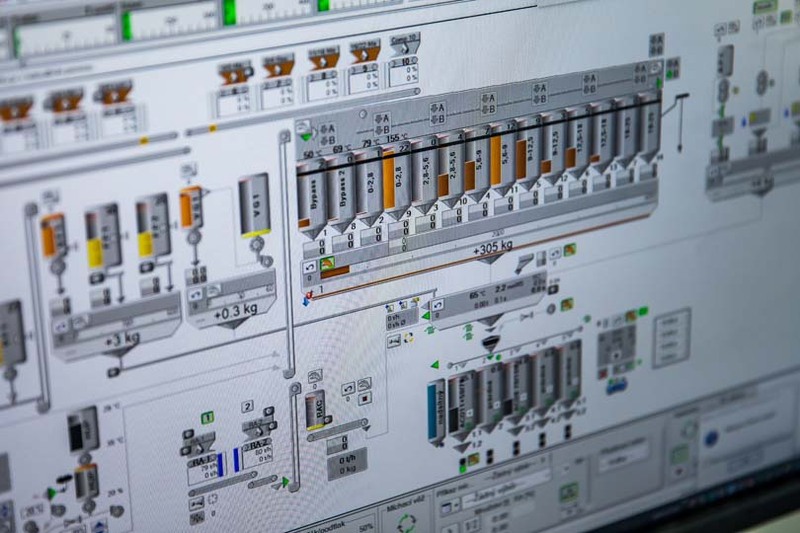 That means a new mixer can be easily integrated into the existing system without the need to acquire a new plant. 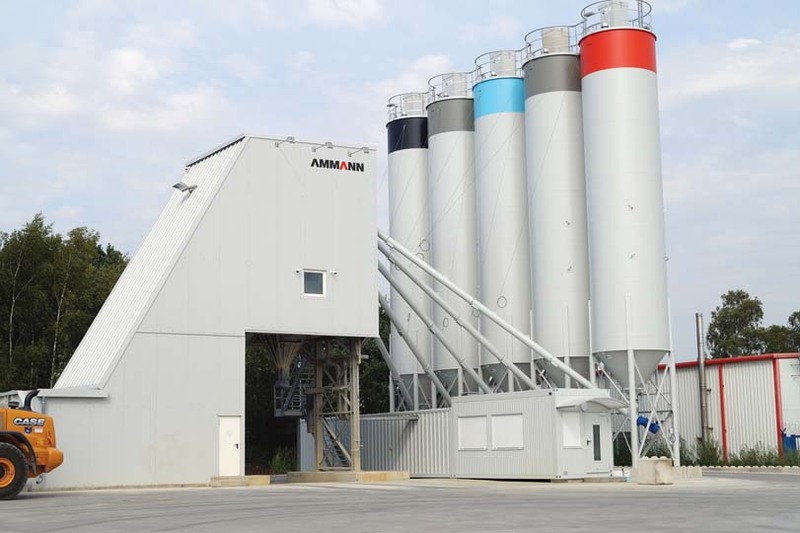 The stationary Concrete Mixing plants CBS series offers a large application spectrum through the modular system and galvanized design. The plants also feature optional comfortable and extra-wide platforms that are pre-installed and pre-assembled. The customer can chose between installation on a concrete foundation or a steel frame.